It is all self-service check-in desks in the West Jet area at Gatwick. The West Jet staff didn't make the greatest first impression, they appeared to be more interested in having their own conversations than helping customers check-in, which isn't overly professional. However, this was quickly erased by the wonderful staff that we had on board our flight. They were so friendly and chatted with us all. On board the flight, we had been allocated rows of three to ourselves, which were so comfortable and spacious. The seats are all leather with adjustable headrests and the legroom was sufficient. The in-flight experience was great. West Jet doesn't have any seatback televisions, however, you can download the West Jet app to access films and television shows on your smartphone or tablet. This worked really well and was very easy to use. The flight went by quickly, which is hardly surprising as it was just a five and a half hour journey. For the return journey, St Johns airport is small, so we checked-in very quickly. We were not quite so lucky with seating on this flight, which was full. This meant that it didn't feel quite so spacious, but it was still pretty comfortable. There was a slight issue with the temperature on this flight, which made it rather warm. However, the crew were very apologetic and tried their best to get this rectified. All of the staff we encountered at the hotel were polite and friendly; we were all greeted instantly on arrival. 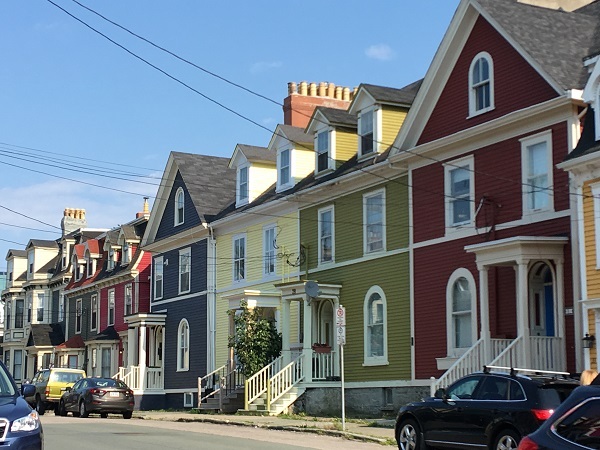 The location of the Sheraton is ideal for exploring St Johns - a short walk away from the Jellybean row houses and the harbour. We stayed in the Club rooms, which gave us access to the Club Lounge for breakfast. There was always plenty of choice, including hot and cold food and drink options that were frequently replenished. I would definitely recommend upgrading to the Club rooms for this benefit alone. The rooms themselves were nicely decorated, always very clean and the beds were unbelievably comfortable. The hotel has all of the facilities you may want from a city centre hotel, with a swimming pool, gym and on-site restaurant. One of our first activities was a visit to the Quidi Vidi brewery. This is an interesting local "micro-brewery" where they produce a number of beers. One of the beers produced here is the iceberg beer, made out of water from icebergs that appear on the shore. We had a tasting session with a local guide who was very knowledgeable and it was very entertaining to hear the history of each drink, as well as learning about the beer trends that exist locally. It was also a really good opportunity to try their local produce. Next up, we visited the Johnson Geo Centre, a geographical museum architecturally designed to resemble an iceberg, with only 10% of the building visible from the surface and the remaining part underground. The most interesting part, for me, was the Titanic exhibit. Throughout our trip, we visited a number of other museums and historic sites. These were: The Colony of Avalon, Hawthorne Cottage National Historic Site, Cupids Legacy Centre, Cupids Cove Plantation, Signal Hill, and Cape Spear Lighthouse National Historic Site. We also took a visit to the Ferryland lighthouse, where we had a picnic. Another brilliant excursion was Gatherall's Whale and puffin boat trip. It was something I had been really looking forward to and it did not disappoint. This is despite us not seeing a whale. The guides were incredibly knowledgeable and so quick to point out any potential sightings. We managed to see a few puffins on board, which are surprisingly small and fast! The guides informed us that during the peak whale season, the boats can be surrounded by whales. This is definitely a must-do if you visit during whale season, but worth considering even outside of this time. One of our final activities was the ‘screech-in’ ceremony. This is a local tradition that consists of wearing a Sou'wester, reciting a local phrase, kissing a cod and drinking the local rum - which is called screech. Having heard about the process a few times earlier in the week, I still wasn't prepared for the craziness of it, but it was certainly amusing. In St. Johns, there are a number of Irish bars in George Street that would offer a ‘screech-in’ ceremony. Ours was completed at O'Reilly's and we were also given a souvenir Sou'wester and certificate to take home, which was a lovely touch. 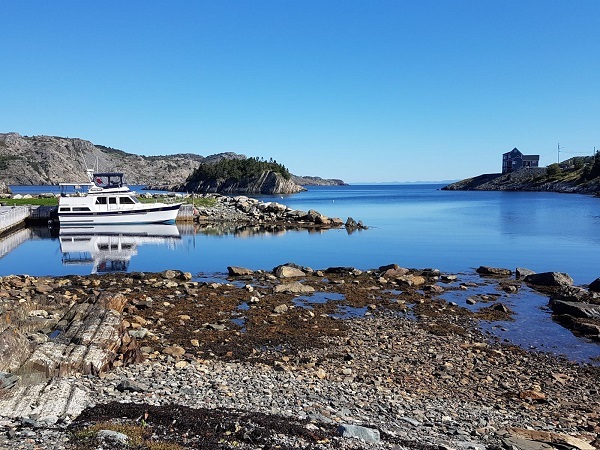 We were taken around every day by McCarthy's Party, a company which runs a number of day trips and multi-day tours in the area aboard their fleet of mini busses. Our driver was incredibly knowledgeable, friendly and had many talents - including singing, playing instruments and telling stories for us all. 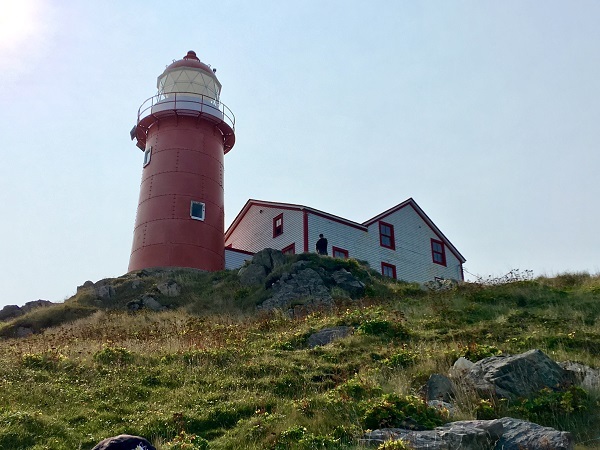 The Ferryland Lighthouse picnic was a massive highlight. It is the most easterly restaurant in North America and the food was lovely. It’s all very fresh and everything is homemade. But the main appeal of this place is the scenery. You are surrounded by the beautiful coastline and, if you are very lucky, you may even get to see a whale while you enjoy your picnic. There’s a really laid-back atmosphere; you just pick up your blanket and place your order. Then you sit down wherever you fancy and the staff will bring your picnic over. It's very tranquil – you can just listen to the ocean and watch the world go by. We weren't lucky enough to see any whales on our visit, but we did see a few jumping tuna fish. I would definitely recommend visiting Newfoundland. The local people are very friendly and welcoming. All of the local guides were so passionate and it was easy to see why. The scenery all around is spectacular – there is a lot to see, do and learn about. 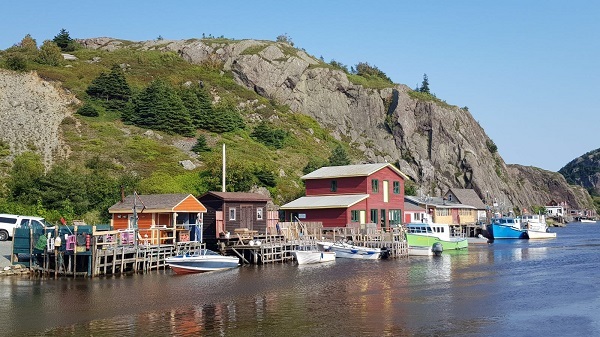 Getting to Newfoundland couldn't be much easier with it being such a short and frequent flight into St Johns from Gatwick. If you like the sound of this adventure holiday and would like us to plan something similar for your next trip, get in touch with us today. You can drop by any of our travel agents in East Anglia or on the south coast or enquire via the website.